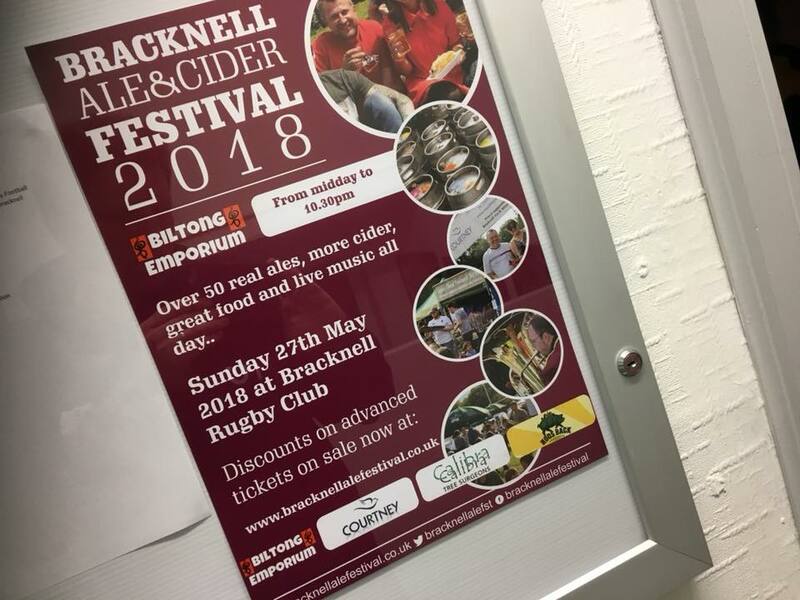 Posted byTom Canning	 April 13, 2018 Leave a comment on Can you put up a Bracknell Ale & Cider Festival poster? We’re edging closer to Bracknell Ale & Cider Festival 2018 and we need your help to spread the word! We’ve produced A3 and A4 posters which you can download below. As you know the event is to raise money for the Rugby Club so the more people we bring in, the more money we raise. If you are able to put up a poster, make sure you tweet a picture to #bacf2018 and we’ll see what we can do about a small reward. As well as posters, you can also help by sharing the facebook event for us on our own account and make sure you invite your friends. Tickets for the festival on Sunday 27th May are on sale now priced £6 for adults in advance with discounts for OAPs and CAMRA members. Tickets can be purchased here.